When walleye fishing gets tough, it’s often to an angler’s advantage to slow things down. One tactic that is great at catching “tough-bite” walleyes is what I like to call “slow fall”. This is a jigging technique proves most effective, particularly at times you might consider switching from artificial lures to live bait in order to trigger lethargic fish. 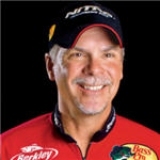 Jigging tops the list of my favorite techniques to catch walleyes, and I am always fine-tuning or trying new tactics to make jig fishing even more successful for me. Throughout my career, I have found that the fall rate of the jig marks the biggest key to frequent bites. Be it faster or slower, it’s a critical factor nearly all of the time. However, many anglers overlook the fall rate—especially during those days when you’re dealing with cold front conditions and most would say the only way to catch a fish is wiggling live bait. But I disagree. I think by slowing my jig down a little bit more I can still catch as many fish. To accomplish the “slow fall” technique I change two parts of my jigging set-up. The first is line. If I really need to get slower, I switch out line types, going from FireLine to mono. Mono, by nature, is thicker in diameter and will slow the descent speed of the jig. Secondly, I look at my tail type, selecting one that creates more resistance and in turn slows the speed down. Combine the two and you are catching walleyes during those times despite naysayers’ convictions toward using live bait. Now, it is no secret, Berkley Gulp! Minnows are my go-to when jigging. But being streamlined, they did not help in slowing the fall rate of the jig, so I had to look for alternative body shapes. Berkley, knowing this went to the drawing board and came up with what we needed in the form of the Gulp! Floating Minnow. It has the same attributes of the original Gulp! Minnow, but is infused with properties that give the bait floatation. In fact, it provides exactly enough flotation to slow our jigs for a better presentation during tough times. The Gulp! Floating Minnow comes in both 3 and 4-inch models with the same great colors as the original—colors to match to any fishing situation where slow fall is needed. Again, in regards to the line, I recommend mono to create some resistance. Since the slow fall technique still incorporates jigging with the need for the best possible feel, a good line is a must. For this, I turn to Berkley Trilene Sensation, super-sensitive for a mono and allows me to feel that telltale tick of a walleye jig bite. Sensation is a bit thinner than other mono and for these extreme situations I will always have an extra spool in the boat with 8 or 10lb test to give the best fall rate for all jig sizes. Give this jigging technique a try and report back to us on your success or challenges. If you have questions or comments on this or other articles of mine you may have read, contact me through the website www.thenextbite.com.